Patricia Carter Dyke has been working in the field of early childhood education for more than thirty years. She began as a kindergarten teacher and has directed day schools and childcare facilities in New England, New York, and Texas. She also has lectured on issues in childcare management and curriculum. In addition to her work in childcare centers, Patricia has taught parenting classes. Her particular interests are age-appropriate curriculum and the importance of cooperation between schools and families. 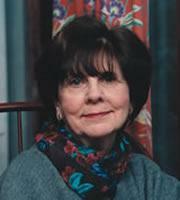 Patricia Carter Dyke lives in East Sandwich, Massachusetts.